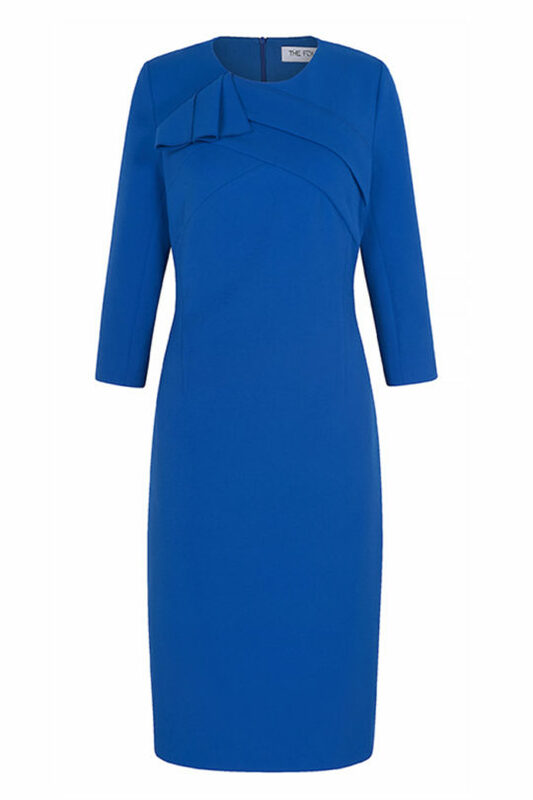 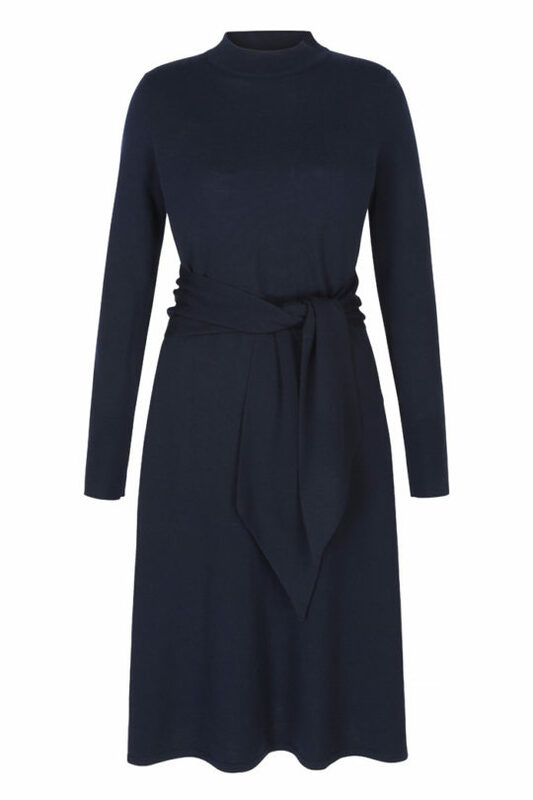 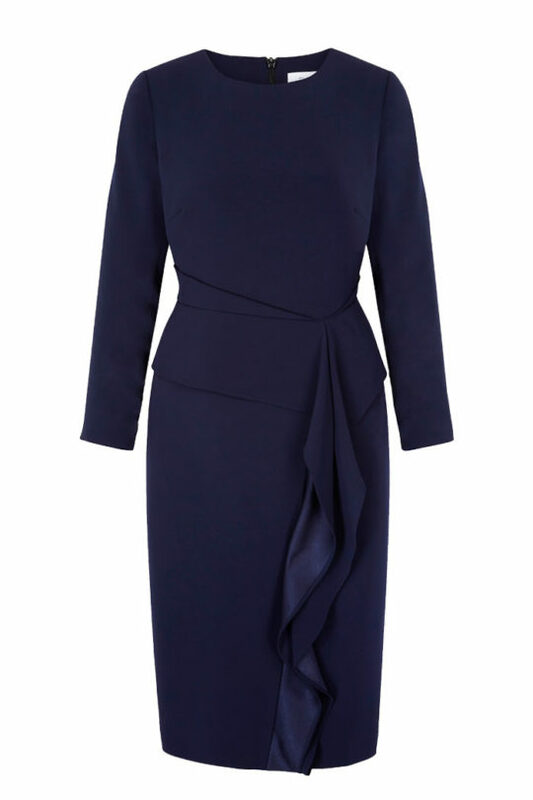 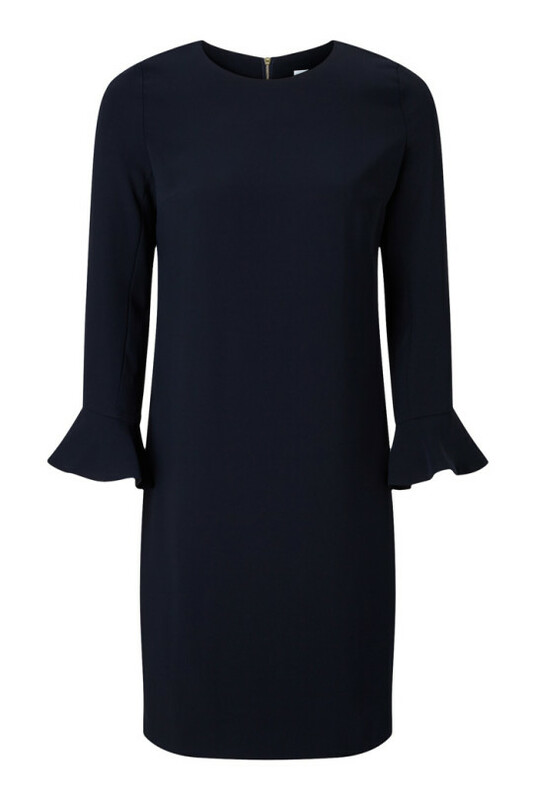 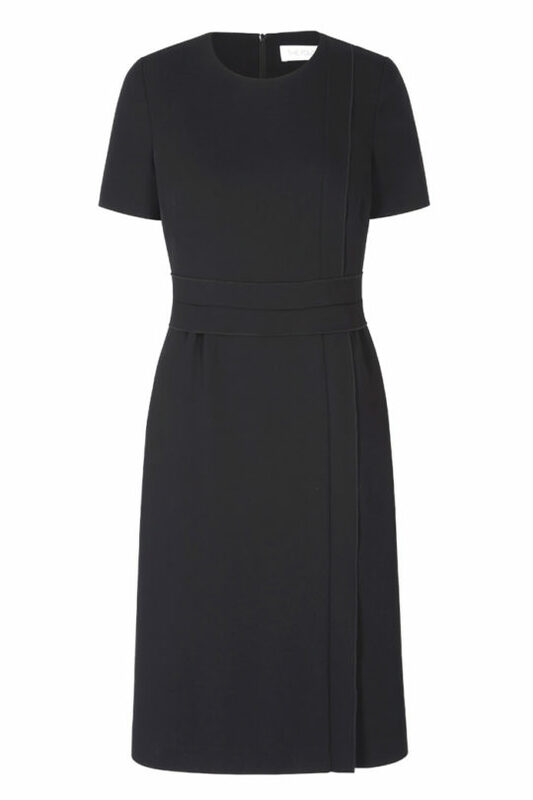 A striking blue dress to boost your confidence, elevated by signature folds and drapery. 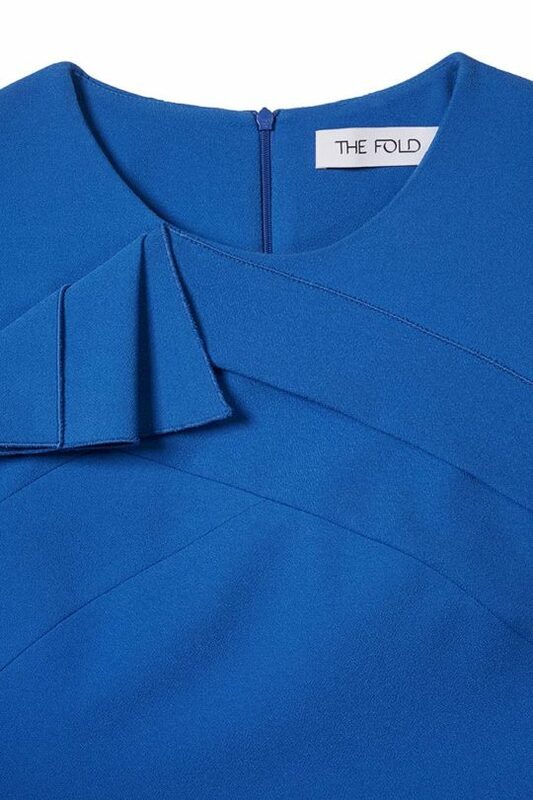 Add a vivid pop of colour with the Kenley dress, impeccably made from an Italian stretch crepe in a vibrant cerulean blue shade. 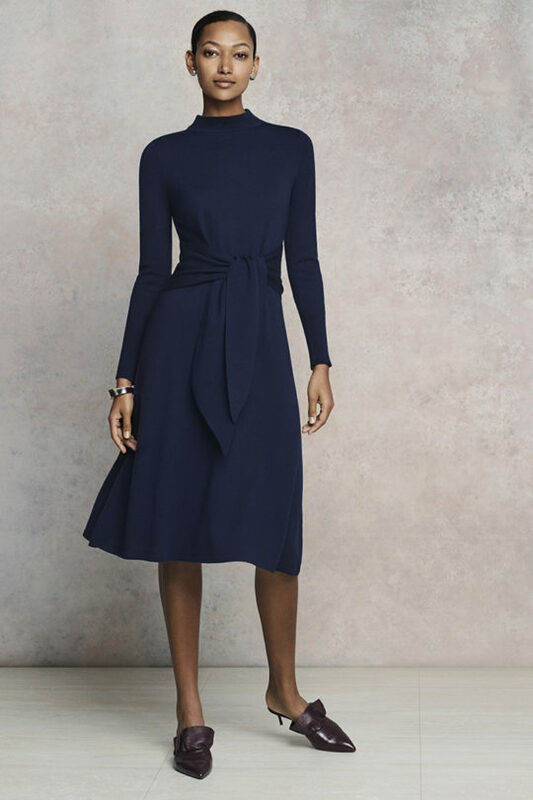 With bracelet-length sleeves and a round neck, the slender silhouette beautifully frames the body and is enhanced by artful drapery through the front.